To provide a glimpse at what the future of web browsers may look like, Opera has created a new concept browser named Opera Neon and made it available this month to download and try out for yourself. The Neon desktop browser has been built using Operas wealth of experience in building browsers over the last 20 years, and includes new features such as a sidebar with its own video player, vertical visualisation bar and a new start page. Watch the video below to learn more about the concept Opera Neon browser which is now available to download directly from the official Opera website. Today, we can finally show you Opera Neon. It is a concept browser – an experimental browser that envisions the future of web browsers similar to the way concept cars predict the future of automobiles. 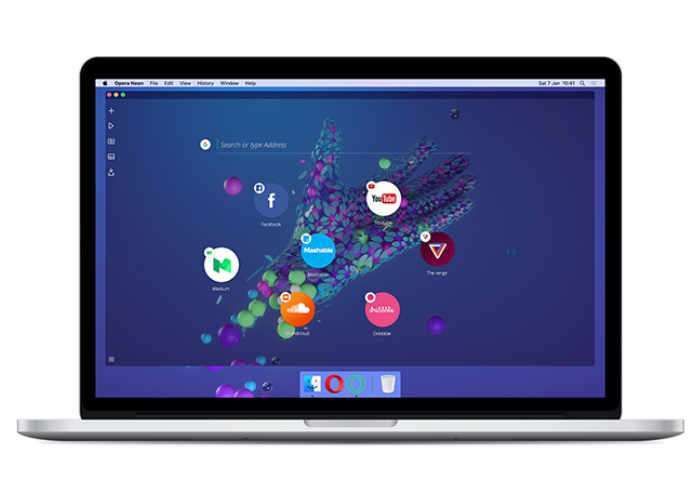 Like the Opera browser, Opera Neon is built on top of the Blink engine, but unlike any other browser, Opera Neon has been built from scratch to bring you cool effects and animations without slowing down your experience. – What’s fun and fresh in Opera Neon? Opera Neon is packed with fun ways to interact with web content, including the ability to drag and push things around, and to even pop content out of the web and save it. • A new start page that uses your desktop wallpaper as its background. • A sidebar with its own video player, image gallery and download manager. • A vertical, visual tab bar on the right side of the browser window that makes it easier to distinguish between tabs.